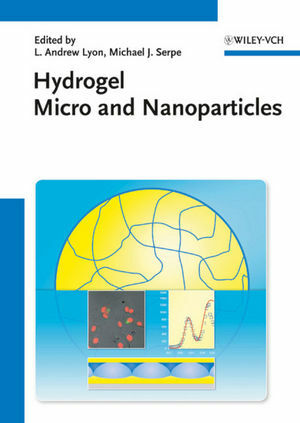 elucidating the underlying concepts and principles that drive continued innovation, major parts of each chapter are devoted to detailed discussions of potential and already realized applications of micro- and nanogel- based materials. Examples of the diverse areas impacted by these materials are biocompatible coatings for implants, films for controlled drug release, self-healing soft materials and responsive hydrogels that react to varying pH conditions, temperature or light. L. Andrew Lyon is Professor in the School of Chemistry and Biochemistry at the Georgia Institute of Technology, Atlanta, USA. After his PhD in Physical Chemistry from Northwestern University he joined Penn State University as a postdoctoral research associate before pursuing his academic career at the Georgia Institute of Technology. Professor Lyon has authored more than 100 articles, contributed to nine books and holds seven patents. His research interests center around the development and implementation of new materials, particularly hydrogel nanoparticles, for photonics, bioanalysis, and biomimetics. Michael J. Serpe is Professor in the Department of Chemistry at the University of Alberta, Canada. He did his PhD in Analytical Chemistry at the Georgia Institute of Technology and then held positions as postdoctoral fellow at the University of Melbourne, Australia, at World Precision Instruments, Inc., and at the Duke University, USA. Professor Serpe has published more than 25 articles for one of which he received an outstanding research paper award. His group is interested in studying the behavior and fundamental properties of soft, responsive, functional, polymeric materials.